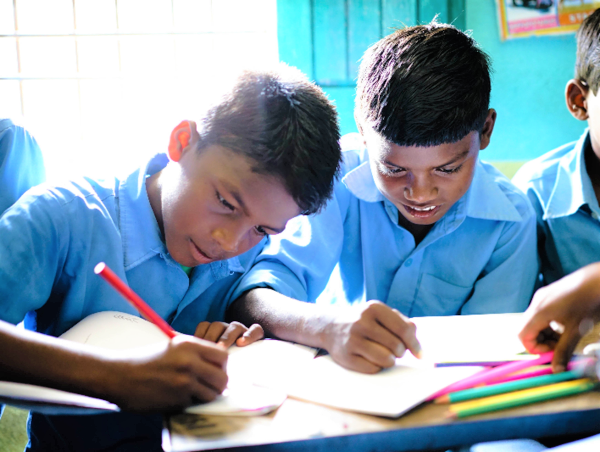 As long as there are kids who need it- please support us run our free school in Bodhgaya. Thank you for visiting our page. 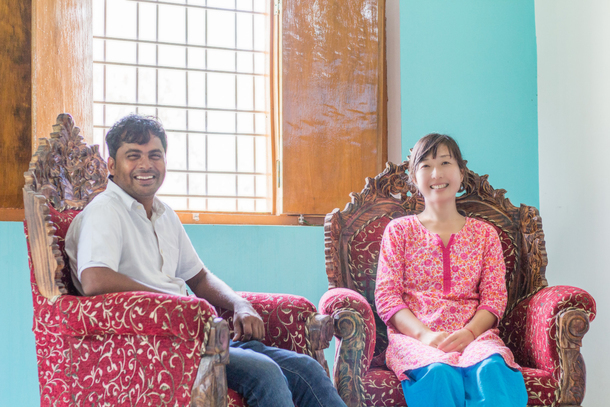 My name is Yuko Momose, I’m the co-manager of Prema Metta Orphanage School in India. 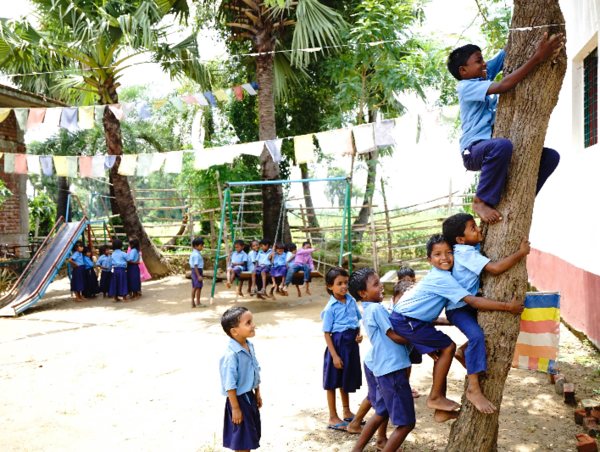 Our free school is located in a small village called Sujata Village, Bodhgaya, Bihar. 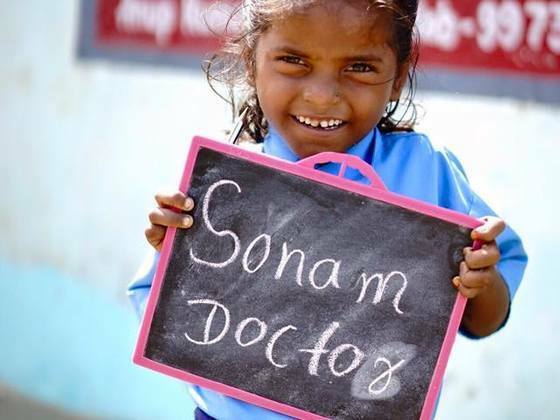 It is well known as the Buddhists’ sacred place, but this is also one of the poorest areas in India, and there are so many kids who cannot afford to receive adequate education. Anup, who is my husband now, founded the school by himself ten years ago, where those kids could study for free of charge. Now we are running it togethert to make opportunities for as many kids as possible to gain education. Everything the kids need for schooling, such as uniforms and stationery items are all provided by us free of charge, as well as hot meals everyday here. 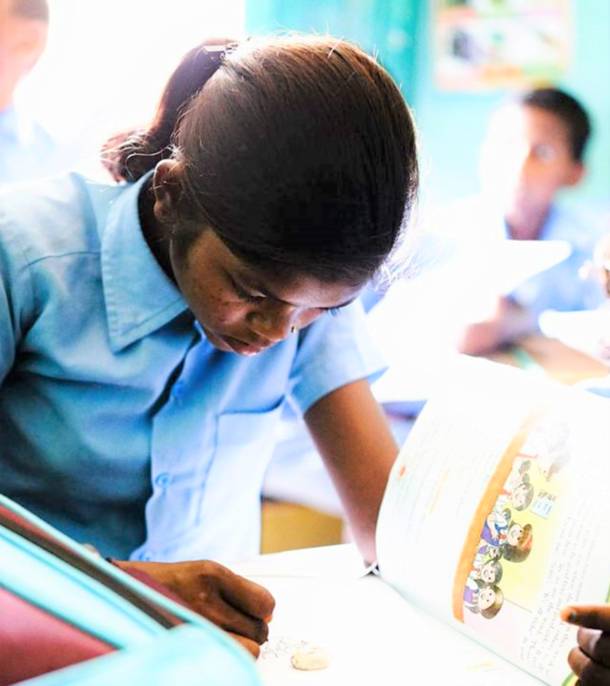 The government schools are free, but the kids still need to pay for the uniform, stationeries and exam fees, which are huge burdens for the poor families in this area, so we provide all the necessary items for them. Our school has been authorised by Indian government. We have taken a few orphans in the past, but none at present due to the lack of facilities. The school runs full-day from Mondays to Fridays and a half-day on Saturdays. We have classes in Hindi, English, Maths, Civics, Science and PE and Art, and each classes are fourty-five minute long. We have 65 pupils at present, but it is rare to have all of them here together, as some of them can’t come to school everyday for family reasons. The number of pupils grew to 80 at one point, but the classrooms were too small to accommodate all of them, so we had to reduce the numbers. 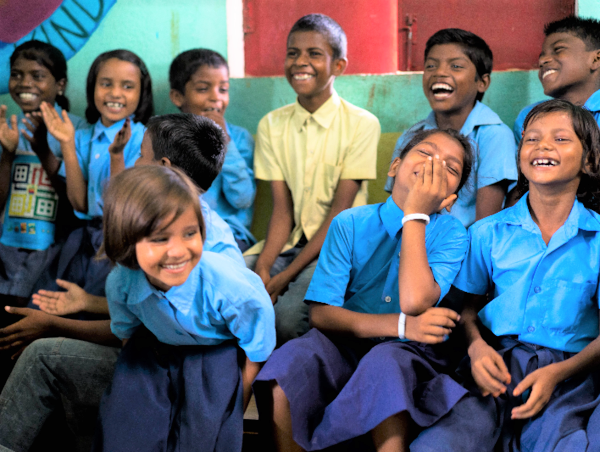 One of our plans is to expand our school building, so that more kids can study here. Other than the kids, we have 4 teachers (one female and three male) and a cooking lady working here, and we also employ an accountant for the auditing. We have always been trying to provide fresh homemade meals for the kids for five days a week from Monday through Friday, as so many of them can’t get enough meals at home. It is usually some rice, dhal (bean soup curry) and sabji which is a kind of stir-fry dish. 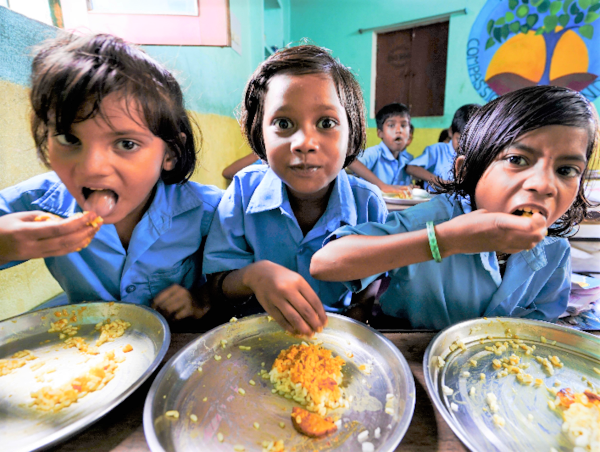 They can’t of course concentrate on studying when they are hungry, but more than anything, we want them to get enough nutrition in their important phases in growing up, and we also want them to eat some fresh hot food with friends and be happy. It has been 10 years now since the school was founded. 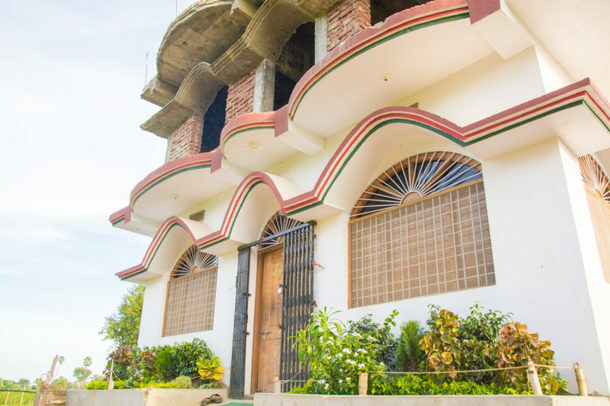 The building were made of bamboo sticks and plastic sheets at the beginning, but thanks to the kindness and support of the people from all over the world, the building has got bigger and improved so much. Still, we find this is not stable enough, as we always have to rely on the donations from our supporters and that is our only source of income. 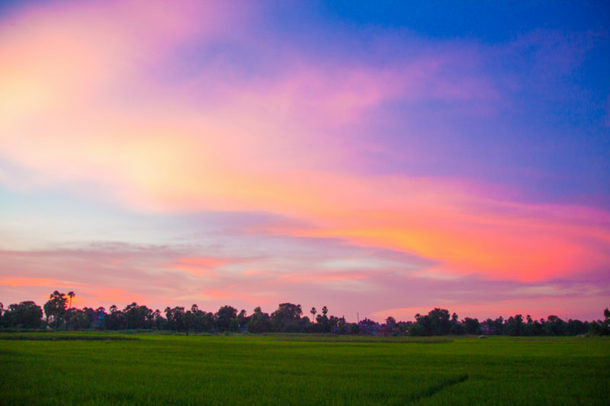 We also strongly believe in the kids to grow up and become independent, so we have decided to be a good example ourselves and founded Senamura Yoga Ashram Guesthouse, so that we will be able to earn the school running costs. We opened with three guestrooms in the autumn last year, and another two rooms and a yoga asana hall are being built right now, and they will be finished soon. All the profit from the guesthouse will be allocated for the school running costs after the necessary expenses, but we have not made any profit yet, due to the construction cost. In the future, we would also like to start training the kids for the service industry after they graduate the school, as there are not many opportunities for them to get employment in this area. In September, Indian government has introduced two new rules and made them mandate for the educational institutions across the country. One of them is to put surveillance cameras within the schoolyard and premises. Another one is that all teachers, whether at public or private school, will have to undertake an official teacher training course authorised by the government. Many teachers are qualified at present, but have not finished this course. So as the teachers at our school, and they will now have to attend it. When they finish the training and become certified teachers, they will be able to teach at schools anywhere in the country, and their minimum wage will also be raised from what it is now. These new rules are both for the betterment of the educational system in this country, but the problem is that there will be no financial support whatsoever from the government for the implementation of these rules. There have been some schools which were made to close because they couldn’t afford the cameras, and the teachers will lose their license if they won’t take the training. These issues need to be solved urgently, but we are also lacking the necessary funding. This is why we have decided to seek your support in this way. If we raise enough funding on this project, we will be able to buy the five cameras (to be put in our classroom, dining room, on the roof, at the entrance and the schoolyard). Our teachers will also be able to undertake the correspondence training course, the fees of which are lower than the commuting course, so we will buy a TV for them to study. It also enables them to keep teaching at the school while they are on the course. We are also planning to use part of the raised funding to cover the annual running cost for the school, such as the school uniforms, textbooks and study materials, the expenses for school trips and Christmas party, festivals and events, and the medical care. We will also be able to pay the wages to our teachers regularly every month, and pay the electricity bills and the maintenance costs…... Our plan is to save up some money for the next year, and get the guesthouse up and running so that we are self-sufficient in the near future. 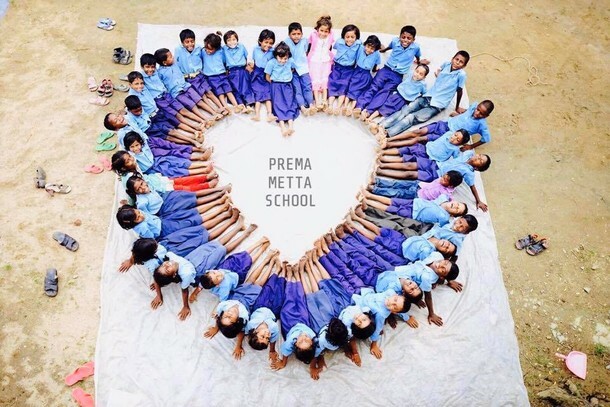 The founder of Prema Metta School, Anup has not had a formal education. But he says that his heart feels warm when he thinks about being able to create a place for the kids to study, and to protect their shining smiles. Our hope does not stop when the kids graduate the school. We are also aiming to continue supporting them until they receive further education such as high schools and colleges. To make that possible, we need to survive this time of crisis and raise above our financial struggle. We are almost reaching there, and all we need is just one more push. I hope you appreciate what we do here, and join our family to support the kids. Please come and visit us anytime, our door is always open for you. 3,000 JPY Your warm supports will bring us further strength! - You will receive a hearty thank you mail. - You will receive a hearty thank you letter and an art work created by the children. * We will select one for you. - You will receive a hearty thank you letter from the children. - Mala (Nechklace) of Sandalwood our children have created with love. - You will receive a hearty thank you letter in English from the children. - Your name will be displayed at our school so that our children know you are supporting them from abroad. - You will receive a hearty thank you letter in English. - You will also receive a letter of appreciation from Prema Metta School. 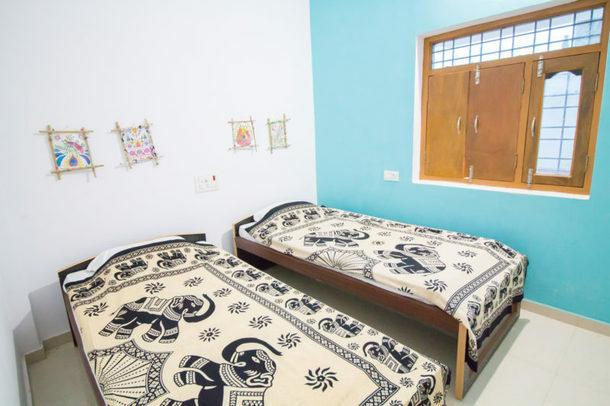 - You are invited to stay at Senamura Yoga Ashram Guesthouse run by us and located right next to the school over night. Please come visit and meet our children! 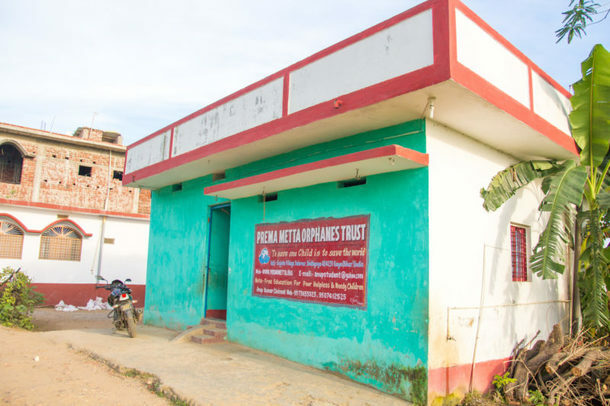 All the profit generated by this guesthouse goes to the school running cost. If you have interest in this project, please contact us, we will send you more details.